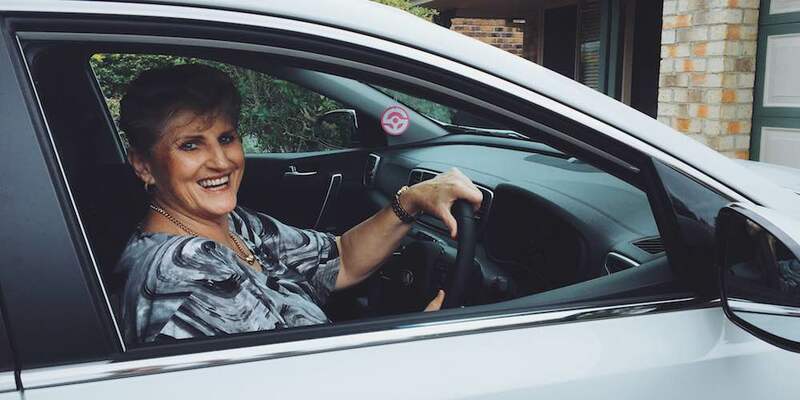 Grandma Uber, a.k.a Kathy Raydings from Brisbane celebrates QLD’s rideshare regulation by being pimped out with brand new wheels thanks to vehicle-subscription-service Splend. 57-year-old Kathy Raydings left her previous job due to an injury and has been driving on the Uber platform for the past eight months. Her passion to help young girls and boys get from A to B with a trustworthy Uber driver late at night has recently catapulted as she begins to recruit other retirees to join her Grandma Uber Fleet. Coinciding with today’s QLD rideshare regulation, Splend – vehicle rental provider to on-demand drivers – will be ready to provide vehicles to Kathy’s Grandma Uber Fleet who are ready to make the switch to rideshare as a way to earn income part time or full time and consequently boost their retirement fund. “I have so much fun with the kids on each ride…the more senior drivers who join my Grandma Uber Fleet, the more secure rides will be available for young girls and boys to commute safely in Brisbane. Now even retirees without a vehicle, or the means to finance a vehicle, can join me by renting through Splend,” says Kathy. Uber Grandma is caring, nurturing, she gives the best advice and is always stocked up on treats. That’s five-star game right there!